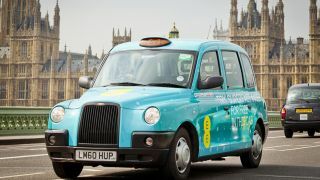 The Mayor of London has announced new plans giving extra support to the UK capital's iconic black cab fleet. But the news hasn't gone down well with world-conquering car booking app Uber. Mayor Sadiq Khan today revealed that his office will be supporting an initiative to get an extra 100 black cabs on London streets over the next four years, while also greenlighting the use of 20 extra bus lanes for the so-called Hackney Carriages. He also suggested the Knowledge - a cab driver's road network training - could become a formal qualification eligible for study loans, and that Transport for London's online journey planners would integrate black cab information by the summer of 2017. Uber has taken umbrage with the news, stating it unfairly favours black cab drivers over those that work through booking services like its own. "These proposals favour black cabs and discriminate against drivers who use apps like Uber," said Tom Elvidge, Uber's general manager for London, in a statement given to the Evening Standard. "While black cabs will get £65million from the taxpayer, the mayor is piling extra costs and red tape onto licensed private hire drivers." "This plan will cost drivers who use Uber hundreds of pounds and thousands may lose their livelihoods as a result. Fewer drivers will mean longer waiting times for passengers." Uber has now sent some users an email, asking if a canned response to the news drafted by Uber can be sent to the Mayor on the user's behalf. While the TfL journey planner update is unlikely to affect Uber's business directly, there's certainly a sense that sides are being taken in the battle for London's roads.